When you hear people talk about salt in their diet what they're really referring to is sodium chloride. 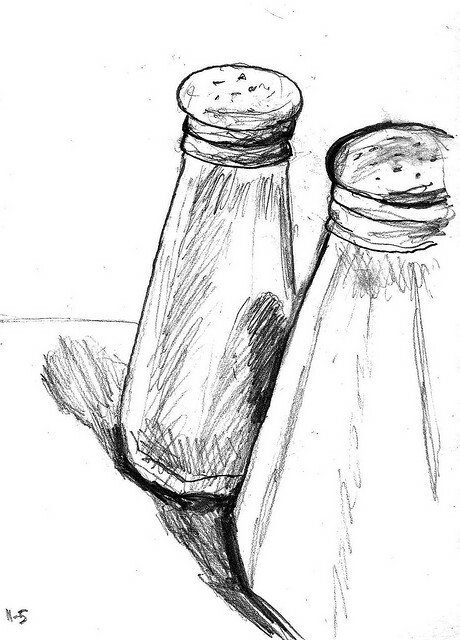 Sodium has been a mainstay for decades in just about every dish we put on our kitchen table. In fact, it has become more widely used than any other single ingredient in today's cooking world. Salt is literally in everything, and it's taking its toll on public health. There are ways to consume healthy amounts of sodium in your diet though. To do this, you need to be more informed and proactive about the foods and beverages you choose to eat or drink. Let's take a look at what this means and learn more about the steps that can be taken to reduce the overall amount of sodium in your diet. Sodium plays many important roles in the body. The main function of sodium is to regulate water balance in the body, which helps control blood pressure. In addition, it performs other tasks such as ensuring proper nerve and muscular function, participates in a number of cellular chemical reactions, and aids in many different membrane transport processes.1 Without sodium we wouldn't be able to survive. However, it's easy to get too much sodium, and almost impossible to get too little. The average daily sodium intake for Americans (ages 2 and up) was 3,300 mg according to the 2007-2008 National Health and Nutrition Examination Survey.2 Remember though, people tend to under report unhealthy behaviors when surveyed. Many experts believe a more accurate range for daily sodium intake by individuals in the U.S. is between 3,000 and 5,000 mg/day. Over 75% of sodium intake comes from processed foods and foods served at restaurants.7 Only about 10% of total sodium intake comes from natural whole foods, and another 5-10% comes from using the salt shaker at the table or when cooking. Below you will find a table of twenty individual food sources of sodium in the American diet. 1) Avoid processed foods such as frozen tv dinners, frozen pizzas, canned, and packaged foods. 2) Limit how much you eat out on a regular basis. Restaurants and fast food cafes are known for their high sodium content in their food. 3) Eat a variety of plant-based whole foods such as fruits, vegetables, legumes, and whole grains. These are naturally low in sodium. 4) Read your labels when you go grocery shopping. Nutrition labels list sodium amounts per serving, and many products have more than one serving in them. As a general rule, you should stick to buying products that have a per serving calorie to sodium ratio of no more than 1:1. In other words, if you buy an item that has 100 calories per serving then it should contain no more than 100 mg of sodium per serving. 5) Don't use extra salt while eating or cooking. Use herbs, spices, and other no-salt seasonings to help flavor your dishes and promote good health. *Note: Even individuals following a whole foods, plant-based diet need to keep their sodium intake to a lower level not to exceed the national guidelines listed above. Although people eating this way have a low risk of embolic stroke (caused by a clot), they still have a high risk of hemorrhagic stroke (caused by severe bleeding in the brain) if they consume the typical amounts of sodium in the average American diet. 1 McCance K., Huether S. Pathophysiology: The Biologic Basis for Disease in Adults & Children. 3rd Edition. 1998; 3:87. 2 U.S. Department of Agriculture, Agriculture Research Service. 2010. Nutrient Intakes From Food: Mean Amounts Consumed Per Individual, by Gender and Age, What We Eat In America, NHANES, 2007-2008. Available: www.ars.usda.gov/ba/bhnrc/fsrg. 3 Institute of Medicine. Dietary Reference Intakes for Water, Potassium, Sodium, Chloride, and Sulfate. 2005; 6:269. Available: www.nap.edu/openbook.php?record_id=10925&page=269. 4 Ayala C., Kuklina EV., Peralez J., et al., Application of Lower Sodium Intake Recommendations to Adults --- United States, 1999--2006. March 27, 2009 58(11);281-283. 5 Bibbins-Domingo K, Chertow G, Coxson P, et al. Projected effect of dietary salt reductions on future cardiovascular disease. N Engl J Med 2010;362:590-9. 6 Danaei G, Ding EL, Mozaffarian D, Taylor B, Rehm J, Murray CJ, Ezzati M. The preventable causes of death in the United States: comparative risk assessment of dietary, lifestyle, and metabolic risk factors. PLoS Med. 2009 Apr 28;6(4):e1000058. 7 U.S. Department of Health and Human Services and U.S. Department of Agriculture. Dietary Guidelines for Americans, 2015-2020. 8 Joint WHO/FAO Expert Consultation on Diet, Nutrition and the Prevention of Chronic Diseases (2002 : Geneva, Switzerland). 9 Broderick J, Connolly S, Feldmann E, et al. Guidelines for the management of spontaneous intracerebral hemorrhage in adults: 2007 update: a guideline from the American Heart Association/American Stroke Association Stroke Council, High Blood Pressure Research Council, and the Quality of Care and Outcomes in Research Interdisciplinary Working Group. Circulation. Oct 16 2007;116(16):e391-413. 10 Yamada Y, Metoki N, Yoshida H, et al. Genetic Factors for Ischemic and Hemorrhagic Stroke in Japanese Individuals. Stroke. 2008;39:2211-2218.